Customer service is our priority, we strive for happy customers! 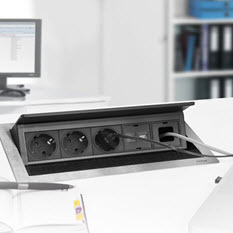 We offer personalized solutions for cables and plugins worldwide. 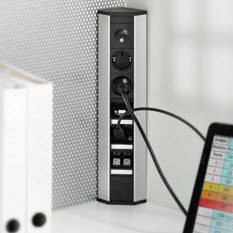 Do you need pop-up power sockets for your office. 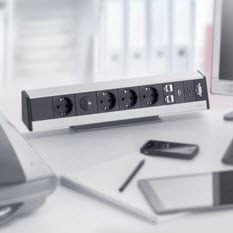 Or modern multimedia module connections for your European university? 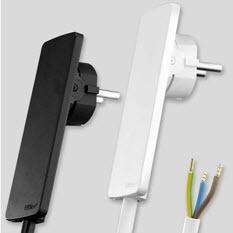 Do you want to improve your Australian living room by hiding those ugly cables? Then you have come to the right place at the EVOlineStore. Customer Service is our priority. 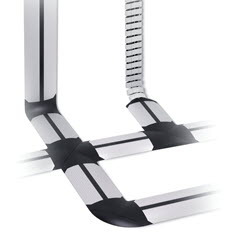 EVOlineStore offers a wide range of visible and invisible options for your cable management. 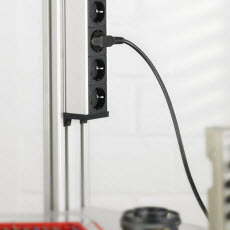 EVOline modules are flexible, so we can design them according to your personal preferences and wishes. 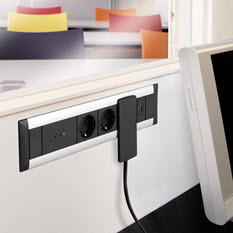 For example, combine power sockets with USB chargers for more interactive office meetings. 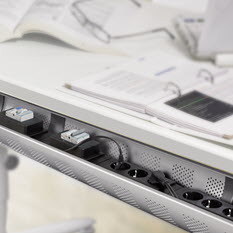 Ugly cables that attract dust and may trip people? 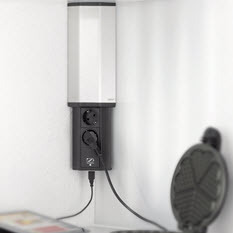 These are a thing of the past with our EVOline Dock and EVOline R-Dock range. While based in the Netherlands, we offer customized solutions internationally. We have the largest stock worldwide, therefore enabling us to deliver our products in countries all over the world. 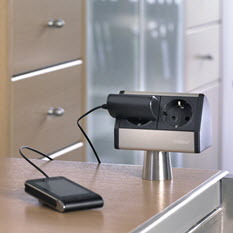 International adapters are not needed, as we provide power sockets suitable for whichever country the client is from. EVOlineStore works very closely with the manufacturers, directly at the factory. Because of this, we can develop and ship our products to our clients within several days after the order has been placed. We have the largest EVOline product stock worldwide, therefore enabling us to deliver these products in countries all over the world. EVOlineStore works very closely with the manufacturers, directly at the factory. Because of this, we can often develop and ship products to our clients within several days after the order has been placed. Please use email as the primary contact. Many questions contain technical details, these are much easier to answer via email. In our experience, lots of details get lost via telephone contacts. Please be aware that our office does not include a shopping location. Our warehouse is at a different location in the Netherlands. In case you need to pick-up your order at our warehouse, please contact us before. Warehousing is specialized in worldwide shipping, not in pick-ups by customers. Contact EVOlineStore ? Just fill in the fields below and we will reply quickly. Why is EVOlineStore appealing to business customers? Need a business account? For most businesses, personal contact, openness in business and speed of delivery, are key factors. Send us an email with your complete business details including your Chamber of Commerce number. Our account manager will contact you. If you supply your VAT number (within EU) we can ship to you without VAT. Non-EU is always without VAT. Use our Design Tool to receive a quotation for your self designed EVOline. The shipping cost within the Netherlands is € 6,25* For order over € 125,00* the shipping is free within the Netherlands. Do I get order confirmation? Yes, of course! We will keep you informed via email from ordering until shipping. Every time your order status changes you will be informed. You can get full details on every status by logging into your account. You also can download invoices and view order history. For shipping warehousing uses several carriers, depending on your shipping address. In case you are not at home to receive the package, you will be informed to contact the carrier. You can contact them to make an appointment for renewed delivery. If you fail to contact the shipping company, your package will finally be returned to warehousing. In case your order needs to be reshipped, there will be a surcharge. How about warranty and how does it work? 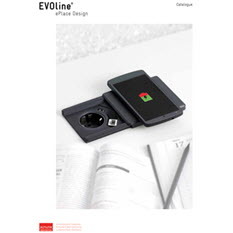 EVOlineStore products and accessories are guaranteed against manufacturing defects one (1) year from the original date of purchase. EVOlineStore’s sole obligation in the event of such defects during this period is to repair or replace the defective part or product with a comparable part or product at EVOlineStore’s sole discretion. Except for such repair or replacement, the sale, processing or another handling of this product is without warranty, condition or other liability even though the defect or loss is caused by negligence or other faults. Damage resulting from use, accident, or normal wear and tear is not covered by this or any warranty. EVOlineStore assumes no liability for any accident, injury, death, loss, or other claim related to or resulting from the use of this product. In no event shall EVOlineStore be liable for incidental or consequential damages relating to or resulting from the use of this product or any of its parts. You can contact our customer service to receive an RMA# for returning the product. Without any RMA# returns are not accepted. An order can be canceled within 24 hours after ordering, if an order is not already shipped. When we receive your cancellation notice, order processing will be stopped and finance will initiate a full refund. This, however, does not apply to customs/specials, since they are specially produced at your request. Therefore cancellation with a full refund is only possible within 24 hours after ordering. When cancellation is done when processing has already started, a cancellation fee of € 35,00 is deducted by finance when issuing the refund. 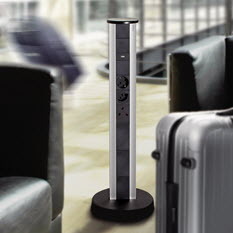 In case you need to return a product, you will need RMA approval. You can contact our customer service to receive an RMA# for returning the product. Without any RMA# returns are not accepted. Returns are only possible for unused products in undamaged packaging. An RMA request should be made within 8 days after receiving the shipment. Returns do not apply to customs/specials since they are especially produced at your request and therefore cannot be returned. This also applies to all replacement parts and modules. Since there are hundreds of parts and modules available for the EVOline product range, we do not stock them. They are also especially ordered at the factory and therefore cannot be returned. So when ordering replacement parts or modules, be careful to pick the correct type or version. Not all parts and modules fit into all consoles. This also applies to exchangeable modules. 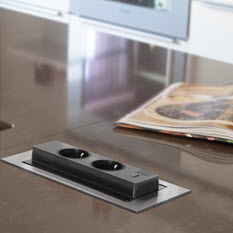 For example, exchangeable modules for the EVOline Fliptop Push range will not fit into the EVOline Port Push range. When in any doubt, please contact us before buying to prevent disappointment. 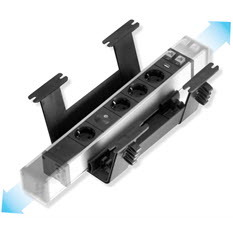 We are happy to help you and think with you to get you the parts or modules you require. Please be aware that the customer is responsible for returning a product, including return shipping cost. Yes, you can. We always** receive a TrackTrace code from the carrier. Often we receive these code late in the evening or during the night. There is often some time between pre-registration of the TrackTrace code and the pick-up by the carrier. In case you feel the shipment takes longer then expected, you can contact us for the TrackTrace code. Normally we initiate a TrackTrace request as soon as you inform us. I own a business, how about VAT? If you have your own business and have a registered VAT number, you can supply your VAT number(within EU) and we can ship to you without VAT. An invoice without VAT is created which you can download from your account. This only applies if we receive your VAT number while ordering. Once the order is created with VAT we cannot change that afterwards, since payment of your VAT amount is possibly already done to the tax office. In case you forget to supply your VAT number while ordering, you have to consult the tax office in your own country to resolve this issue. Orders from Non-EU clients are always without VAT for private and business clients. 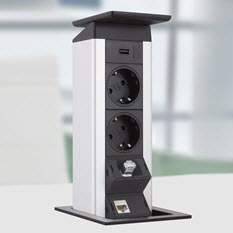 In my country we use different power sockets / plugs, do you supply these? 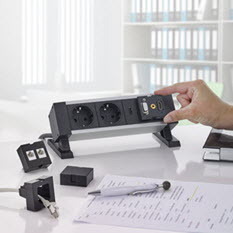 EVOlineStore has the largest stock worldwide, but all our stock is VDE (Schuko-German) based. 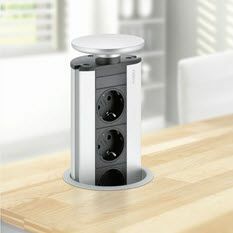 We do supply all other world standards of power sockets and plugs, but we handle these as custom/special. Since combinations with different world standards, data and multimedia modules are almost endless, we offer specific quotations for these customs/specials. 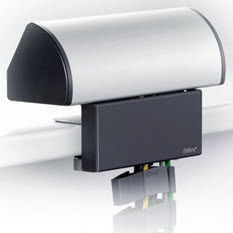 Take a look at our modules page and send us an email requesting a quotation for your specific requirements. When you added the required products to your cart and want to proceed, you can choose checkout. During checkout, you can fill in your address details and select a payment option. The slowest method of all. Processing of your order will wait until the arrival of your payment is confirmed by finance. Although slow, it does not have any surcharges as long as the total amount reaches our account. This method works very well worldwide but especially well within EU. All banks within EU are obliged to handle transactions to customers in EU countries without extra surcharge. Banks outside EU tend not only to charge their customers surcharges for the transaction, but also the receiver. That means when finance receives an amount from a customer outside EU, very often our bank also charges us for the received funds. Finance is very strict about receiving the total amount. In case the receiving bank (our bank) deducts surcharges, the customer has to make an additional payment to compensate for the receiving charges. Please be aware of this. If in doubt, consult your own bank. It often turns out that using PayPal is more cost effective (and a lot faster) then using your good old banking account. PayPal is a worldwide payment method that almost all customers can use. You can check if PayPal is available in your country via this link With PayPal you can use all popular credit and debit cards. EVOlineStore handles all credit cards via PayPal. You even don't have to have a PayPal account yourself, you can use the PayPal service as a guest. For using PayPal there is a surcharge. The surcharge depends on which part of the world you are shipping to. Our web store calculates the surcharge according to the shipping address you supply. iDeal and iDeal-QR are online payment methods that are typically used within the Netherlands. For using iDeal there is a small surcharge. Sofort Banking or DIRECTebanking is a widely accepted payment method in Europe. It is accepted in more then 13 countries. With this payment method the customers can select their own bank and their normal online login credentials. For using Sofort Banking there is a small surcharge. Bancontact - MisterCash is used in Belgium as very popular online payment system. MisterCash works with most large banks in Belgium. For using MisterCash there is a small surcharge. Het bestellen van een maatwerk configuratie naar mijn wensen werkte perfect. Prima advies en snelle communicatie via de mail. Bij evolinestore denken ze mee in oplossingen. Had snel wat werkplek oplossingen nodig voor onze praktijk. Via de mogelijkheid van maatwerk bij evolinestore naar een oplossing gevraagd. 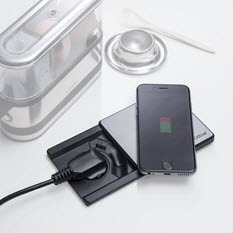 Hier denken ze goed mee en kwamen met een slimme innovatieve oplossing voor al onze beeldschermwerkplekken. Kwalitatief ziet het er erg goed uit. Ondanks het maatwerk een snelle levering . Your compliments are a great source of motivation to keep us moving forward, working even harder and making the best products possible.